Google automatically makes claims on behalf of content creators if its algorithms find a close match between the content of two videos. In this case, the claims against Mr Tomczak do not demanding the video's removal, but instead the reward of any revenue made from advertising associated with it. "Copyright does not protect the idea, but the expression of the idea," explained intellectual property lawyer Iain Connor at UK law firm Pinsent Masons. "If I record background white noise or if I have a random white noise generator and I record that, with me being the first person to fix that recording, then I am the owner of its copyright." Although there may occasionally be spurious claims, Mr Connor said he thought the YouTube system offered reasonable protections to both content creators and copyright claimants. "The only other option is to go through the courts so I think on balance it's probably as good as it can be," he said. A spokeswoman for Google, which owns YouTube, said that the Content ID system works by automatically matching uploaded content against sample files provided by other content creators. 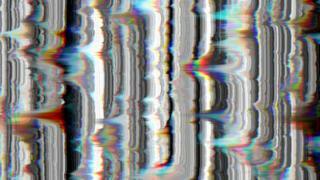 A match could indicate that a work has been copied but clips of white noise are too indistinct for Google's algorithms to work accurately, the company confirmed. "The accuracy of our matching systems can only ever be as good as the accuracy of what copyright holders submit," the spokeswoman said. "We have review teams that work to catch and prevent inaccurate claims, take action against copyright holders who knowingly or repeatedly cause errors, and we offer a robust dispute process for users who believe their video was claimed in error." According to Google, the rate of invalid claims is below 1%.